The Flevohuis is a comfortable, waterside holiday villa. 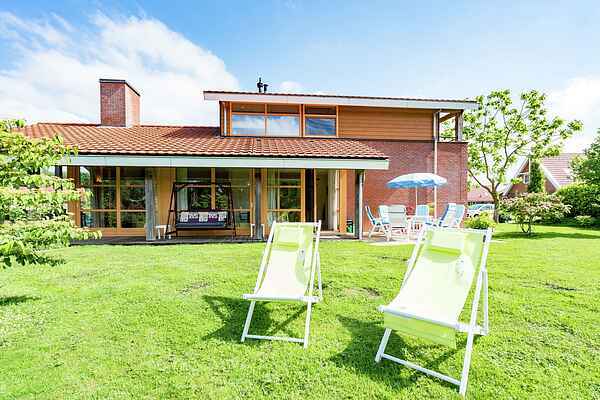 The villa is near the town of Biddinghuizen in the Province of Flevoland. The villa is in a holiday park on the shores of Lake Veluwemeer. It offers excellent comfort in a Mediterranean style. The home is ideally positioned for enjoying many activities and visiting places of interest. Lake Veluwemeer and its marina and beaches are 200 metres away. Children will have a whale of a time in the Dolphin Aquarium in Harderwijk, five kilometres away. They will also love the Walibi World Family Adventure Park which is around thirteen kilometres. Shoppers will want to visit the Bataviastad Retail Outlet Centre, twenty-five kilometres away. Culture and history lovers will enjoy visiting the former Zuiderzee towns, such as Elburg and Harderwijk. Walkers and cyclists will love to explore the Utrechtse Heuvelrug and the Hoge Veluwe National Park, fifty minutes away by car. The Flevohuis is a perfect holiday destination all year round.